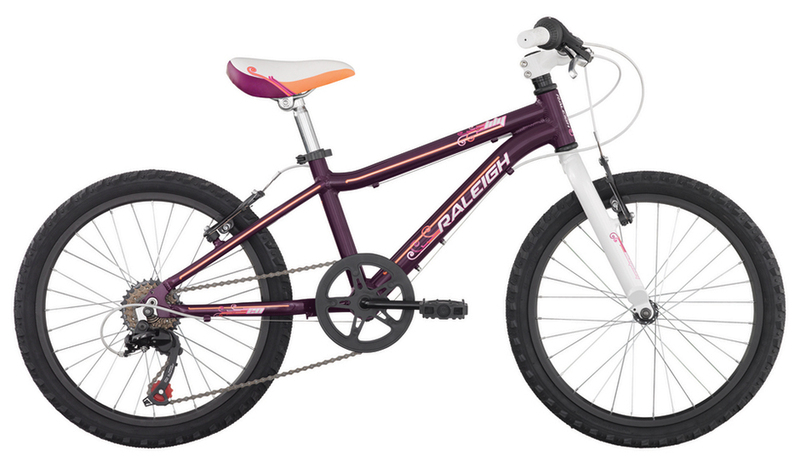 Watch your little speedster keep up with you on the Raleigh Scout XC. 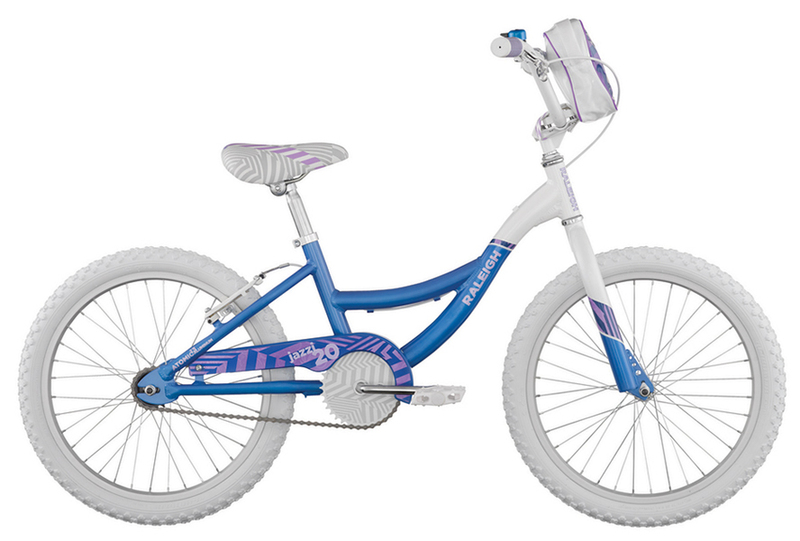 Its aluminum frame is lightweight and durable, and the suspension fork has plenty of bump-busting travel for kids to enjoy. 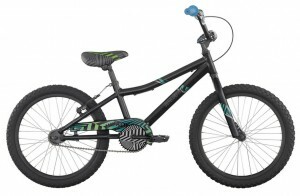 The 21-speed drivetrain gets them shifting gears at an early age, and lets them keep right up with you. 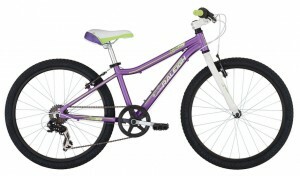 Plus, the linear-pull brakes provide great stopping power and the kid-size seat, grips, and bars fit perfectly. 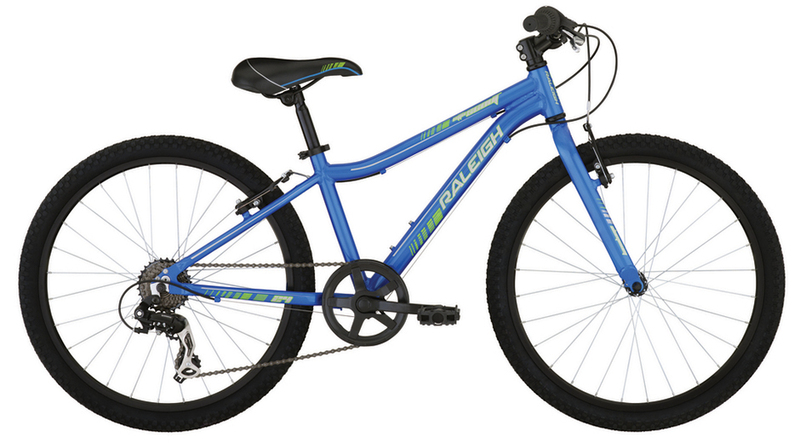 The Raleigh Mtn Scout is a capable off-road bike that lets your young champ take to the dirt in style. 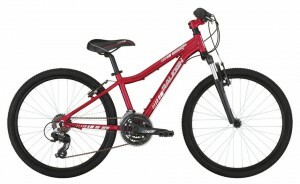 Its low-profile aluminum frame rides and fits great, while the aluminum wheels and knobby tires roll smooth and offer superb traction. This sweet dirt machine also features an easy-pedaling 7-speed drivetrain, twist shifters, and sure-stopping linear-pull brakes. 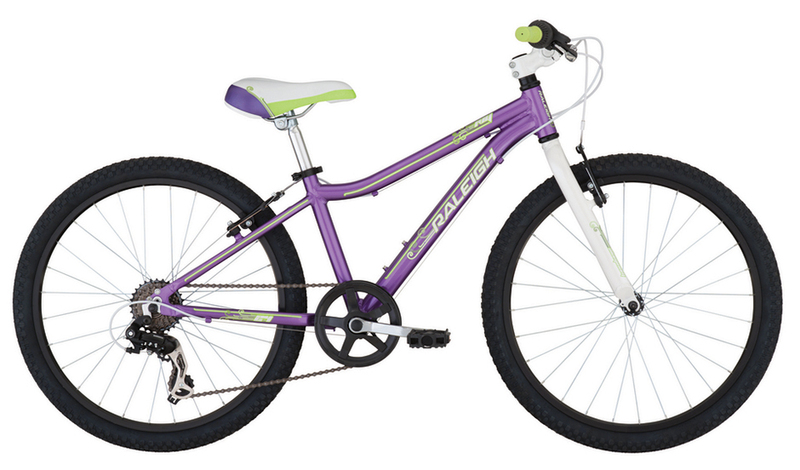 The Raleigh Ivy makes it easier than ever for your little girl to keep up with you on rides. Its low-profile aluminum frame rides and fits great, while the aluminum wheels and knobby tires roll smooth and offer superb traction. Plus, the 7-speed drivetrain makes the hills a breeze, while the powerful brakes stop with authority. Your little champ will roll up the trails and around the cul-de-sac in style aboard the Raleigh Rowdy. It boasts an easy-pedaling, lightweight aluminum frame, quality wheels, and a simple-to-operate 6-speed drivetrain to help on the hills. Plus, the comfy seat, low stand-over frame and grippy knobby tires mean he’ll be comfortable and confident on every ride, on road and off. The Raleigh Lily is a stylish mini mountain bike that’s great for getting your child into riding. It boasts an easy-pedaling, lightweight aluminum frame, quality wheels and a simple-to-operate 6-speed drivetrain to help on the hills. Plus, the kid-size seat, low stand-over frame and grippy knobby tires mean she’ll be comfortable and confident on every ride, on road and off. 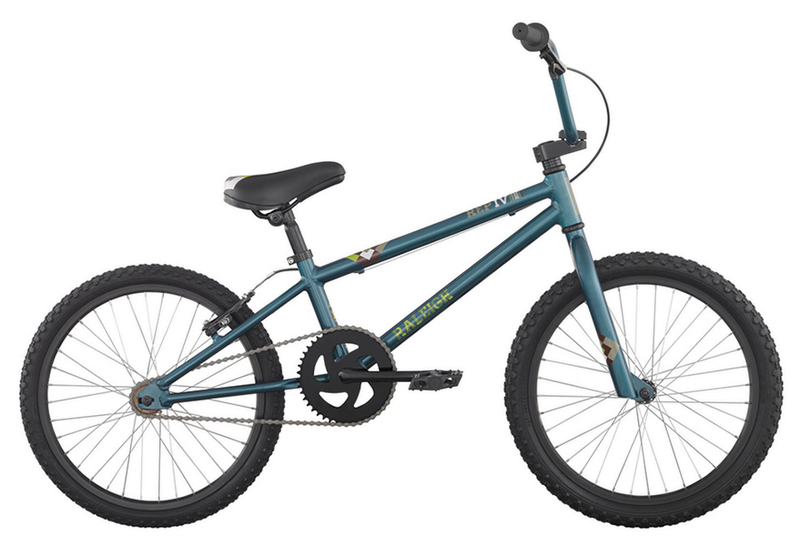 The Raleigh Rep IV is perfect for riding around the neighborhood and getting your little guy outdoors. It boasts an easy-pedaling, lightweight aluminum frame, quality wheels and a simple, low-maintenance, one-speed drivetrain. Plus, the comfy seat, low stand-over frame and knobby tires mean he’ll be comfortable and confident on every ride, on road and off. 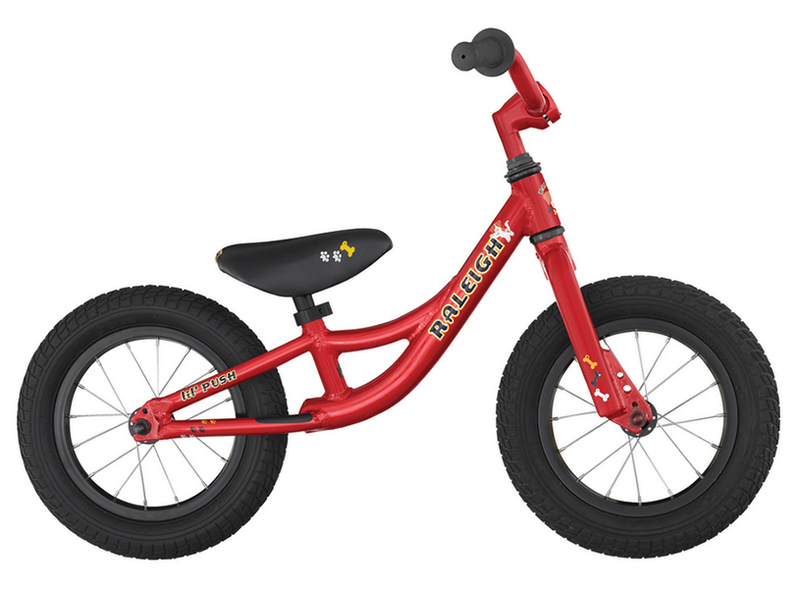 Your little rider will enjoy maximum fun with the Raleigh MXR. Its low stand-over height makes the aluminum frame fit great and provides an extra margin of clearance and safety. 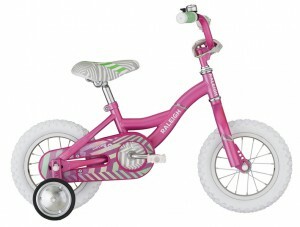 The MXR also sports strong wheels, reliable aluminum components and a racy look your child will love. 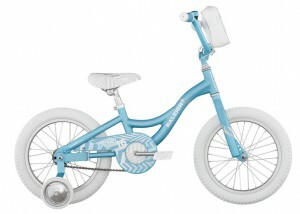 Plus, it comes equipped with both coaster and hand brakes so he can learn grown-up cycling skills. The Raleigh Lil’ Honey is a sweet ride that will take your little one from training wheels to pedaling like a pro. She’ll adore the fun ride, cool looks, and handlebar bag, and you’ll love the durable frame, components and Raleigh’s legendary quality. Get your girl out riding; the Lil’ Honey is a great place to start! Jazz up your little one’s style with the Raleigh Jazzi! Quality construction and cool colors combine in this sweet, fun bicycle. It features a tough aluminum frame that can take most anything a youngster can dish out. Its low top tube allows for easy on/off and the quality components are built to last. Plus, the coaster/hand brake setup makes the transition to bigger bikes easier and safer. Give your little rider-to-be a bite-size bike they’ll love. The Cupcake from Raleigh rides great and is built to last with a steel frame, easy-rolling wheels, reliable components and heavy-duty training wheels so that pedaling confidence comes easy. 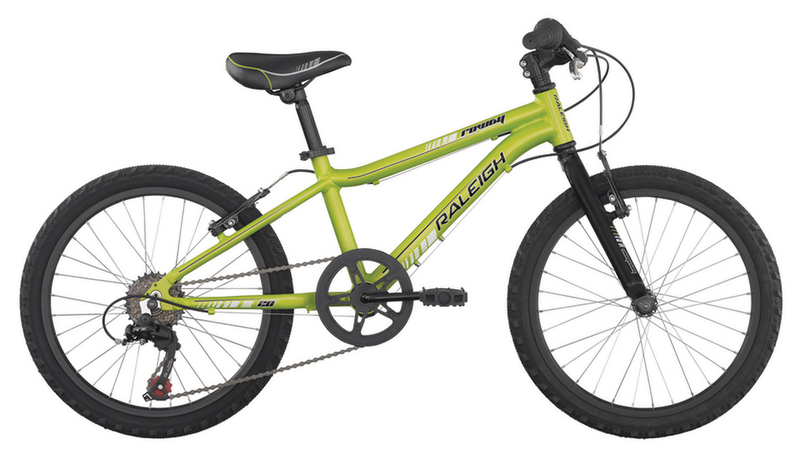 The Raleigh Lil’ Push is the perfect no-pedal bike for teaching balance and introducing youngsters to the awesome world of bicycling. They push themselves along with their feet and quickly get a hang for steering and balancing. For easy handling and riding, it boasts a light aluminum frame, smooth-rolling wheels and a low-slung top tube with plenty of stand-over height for easy on/off and pushing. The seat and handlebars are adjustable, too, for dialing in the perfect fit.